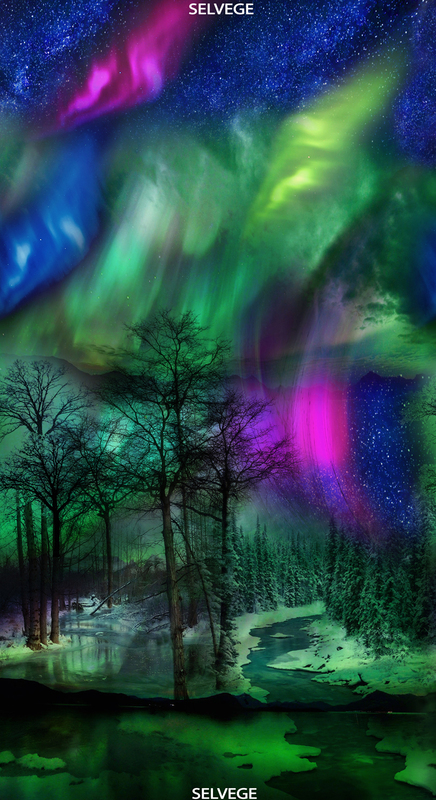 Northern Lights / Aurora Borealis Panel. Measures 24" x width of fabric (approximately 42-44"). 100% cotton. From Timeless Treasures fabrics.